If you’re looking for a very clean boost pedal, then look no further than the Mooer Pure Boost. The Pure Boost offers 20db of clean and transparent gain. In addition, the two bands of EQ (+/- 15db) help you to dial in your tone. 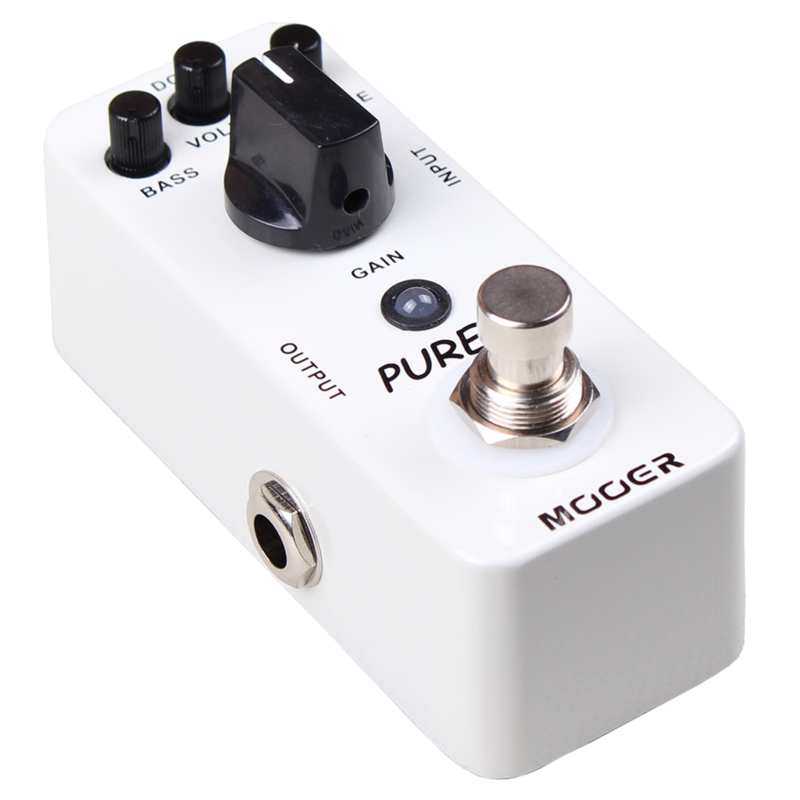 The Mooer Pure Boost is perfect for raising the output of weaker pickups; it can also be used to push effect pedals or the front end of an amp. Click here to download manual. Buy smart! Here are some resources for you to further investigate the Pure Boost. We're players too and know that all the research doesn't always lead to the right pedal for your sound. No worries, buy with confidence with our 7 day at home trial period.